In a capitalist society, monopolies are a naturally accruing effect. Every business owner knows that in order to be successful, one must constantly invest in their company. As the company grows larger and more efficient, the services and products offered become more sought after. If the company becomes massive, they develop the power to influence market price, run competition out of business or not allow competitors to emerge altogether. Once enough other companies are bankrupt or bought off, it’s pretty much a walk in the park. If there isn’t anyone else selling the same goods you can stop improving your product, lower the quality and raise the prices as much as you wish, because people have no other choice than to buy from you. Many countries around the world have legislation to prevent companies from going down this road. But ways can always be found around these laws and, most often than not, people have no idea what’s going on. Most of us have never heard of Luxottica, and yet they’re the biggest manufacturer of glasses in the world. Founded in 1961 in a small village in Northern Italy, by the ’80s Luxottica went international and started buying every other eyewear company it could afford. Their sunglasses are currently being sold through a number of different brands such as Ray Ban, Killer Loop, Vogue, T3 and Persol. They also manufacture eyewear for Chanel, Bulgari, Armani, Ungro, Anne Klein and Moschino, among others. Luxottica also controls the leading vision-care providers in the United States, such as Eye Med and Vision Care, which produce over 130,000 frames per day. Producing over 80% of eyewear worldwide, Luxottica made over $9.7 billion in 2013. If you ever thought that some $30 glasses look very similar to a $350 pair, you were probably right — they were most likely made on the same assembly line. Whether you were shopping for a new pair of shades at Sears, Target, Pearle Vision, The Sunglass Hut or Prada, you were actually buying from the same company, with only the illusion of having a choice. Netflix isn’t a monopoly yet, but they’re one in the making. 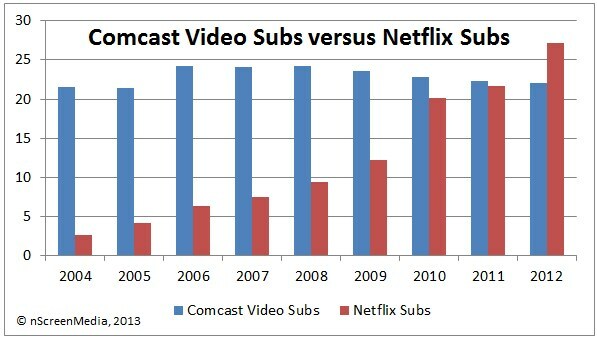 People tend to no longer order DVDs online and instead stream movies and TV shows directly from the Internet. It’s cheaper and lacks the bother of waiting for movies to arrive by mail or simply going to the theater. With over 50 million subscribers, Netflix is quickly becoming an Internet superpower. They have competitors such as Hulu, Comcast, Vudu, iTunes and HBO’s streaming service, but they don’t seem to be losing ground. It’s quite possible that some of these companies will be bought by Netflix in the near future. The biggest challenge Netflix is facing is to remain an independent company. The Internet has been a huge leak of capital for movie studios, and they could eliminate some piracy by streaming their movies directly through Netflix. Unilever is a true behemoth when it comes to everyday consumer needs. They make everything from food to home care products. Chances are that every time you go grocery shopping you buy at least one item made by Unilever. Their business isn’t really in producing these goods, but rather in buying up other, smaller companies that do. Unilever currently owns over 400 name brands around the world, including Dove, Axe, Becel, Lipton, Knorr, Hellman’s, Magnum, Sunsilk, Persil, Omo and many, many others. Unilever operates in around 190 countries and had a net profit of $5.26 billion in 2013. The problem with Unilever and competitors like Pepsico, Kraft, Nestle, Kellogg’s and P&G is that they rule out innovation. If it’s good enough for them, everyone else has to make due. The only differences between their products is not quality or ingredients, but rather the name, packaging and, of course, the price. You might be wearing a product made by YKK at this exact moment. If you have no idea what we’re talking about, check your fly. There’s a 50% chance it’s made by YKK, the world’s leading producers of zippers. YKK produces over seven billion each year. A Japanese company with 88 facilities spread around the globe, YKK makes everything from the boxes in which their zippers are shipped in to their manufacturing equipment. Founded in 1934 by Tadao Yoshida, YKK is still a family run business. Zippers don’t make the clothes, but if they break they unmake the wearer. There are a lot of other zipper manufacturers in the world, most based in China, which are somewhat cheaper but much less reliable. Almost all major clothing manufacturers use YKK because they’re reliable, giving them market dominance where it matters. Corn is used everywhere. Not just in food and sweets as high fructose corn syrup, but also in the production of rubber tires, aspirin, antibiotics, baby powder, toothpaste, alcohol, milk cartons, paper products, paint and varnish, textiles, shoe polish, batteries, porcelain and many other goods around the house. Monsanto is in the business of everything corn and corn related. They don’t actually grow it — they genetically engineer it to withstand the deadly effects of herbicides like Roundup (also made by Monsanto), and they produce “sterile seeds” that can’t re-spawn next growing season. The Convention on Biological Diversity has banned the use of these “Terminator” seeds, but Monsanto has a patent put in place so, even if the kernels grow every spring, farmers aren’t allowed to use them and have to buy the seeds year after year. Because they own the best grains that are resistant to chemical herbicides, 80% of the corn harvested each year in the United States is Monsanto engineered. The company is also known for trying to pass a law allowing food companies that use GMOs to label their products as “Natural” in order to “not frighten the citizens.” Because that’s not scary in and of itself. We don’t even remember what the Internet looked like before Google came onto the scene. Thanks to their secret algorithm, they control 67% of the web search market. Since its beginning, the company has grown and branched off into email, online maps, GPS tracking systems, online data storage and mobile phones. There was a media debacle back in 2007 when pet food company Menu Foods was accused of being responsible for thousands of dead cats and dogs across the United States. They were importing antibiotics and chemicals from China and using them to make jerky treats for pets, and that didn’t end well. Fortunately for them, Menu Foods was then bought off by Simmons Food Inc. The Simmons group encompasses the brands Strongheart, Fit&Active, Kitty, Healthy by Design and Twin Pet. Hopefully history doesn’t repeat itself, since the company is using the same Chinese supplier as Menu Foods did. Social Media is a market most of us have never considered ripe for a monopoly, but over 71% of online adults use Facebook. Twitter, Google+ and, heh, MySpace are no match for Facebook, which has around 900 million unique monthly visitors compared to Twitter’s 310 million and Google+’s 120 million. Facebook has an annual net income of about $ 1.5 billion and even bought Oculus Rift for $2 billion. Who knows what they’re planning to do with it? Microsoft may not be the powerhouse it once was, but it still enjoys a virtual monopoly in some branches of the tech market. In conjunction with Intel, Microsoft controls the personal computer market by owning over 75% of the market share. And they’re nothing more than one of the many clients of manufacturing companies like Quanta Computer and Foxconn, Taiwanese businesses with monopolies in their own right. Strange looking name isn’t it? It came about after the merger of two huge beer brewing companies — Anheuser-Busch and InBev. Together they produce and distribute over 200 types of beer around the world, including Budweiser, Corona, Stella Artois, Beck’s, Leffe, Hoegaarden, Skol and Michelob Ultra. Their net income was over $14.3 billion in 2013. Keep that in mind the next time you’re at the bar — they may all taste different, but your money is going to the same place. Want to read about some of the silly and sinister things massive companies have done? Check out 10 Times Smartphone Companies Fought Like Siblings, or read about 10 Sinister Moves Made by Tobacco Companies. I’d like to point out I knew 4 or 5 of these were monopolies. By that reasoning, your title is a lie. I do not get what’s so hard about adding probably into a title. This change is for you, Matt. Thank you for making the world a more honest place. None of these are monopolies. Actually Luxottica is the closest to a true monopoly. The government hates them. They got charged a fine for instantly taking down a new glasses store. If they do more of it again they could be destroyed by the government. Safilo – Celine, Dior, Hugo Boss, etc. I don’t think the author understands what a monopoly is. Actually the definition of a monopoly is fairly simple. And this list is grossly accurate. However, the list is far too short. What we really need is a complete list of corporations that have violated these laws thru Reagan-ized side stepping. I’ve been a long-time sociopolitical student of economic history. Based of Jefferson, Madison, The Roosevelts, Brandeis, Truman, Eisenhower, and Nixon even (whom are all against big business in charge); this definition is plenty accurate. Being against big business was what the U.S. was founded on. Oligarchy is still a form of fascism. “monopoly”…. you keep using this word, “monopoly”, i don’t think it means what you think it means. but you could say that Intel owns the entire personal computers chip market, i know the chip industry all too well, i know the personal computer’s chip market it’s a rather small little branch of the chip industry where only gamers and designers remain rolling. AMD, Samsung, ARM and Qualcom are the chip companies fighting in the actually currently relevant brenches of the chip market, always far bigger and better than Intel on all the others brenches of the chips industriy, because it seems Intel likes focusing where there’s no longer any competition, where the only demand are we gamers, and the designers! Intel is part of Microsoft. Qualcom is owned by Quanta, and Samsung only assembles and sells them. Foxxcon makes Samsung circuitry independently. Intel only sells better in the US. The legal definition is pretty simple of an explanation of a monopoly. TopTenz does a lot of research. Study Sen. Sherman and the first attempts to stop monopolies. Study the classic “Robber Barons” like JP Morgan, Pulitzer, Rockefeller, Gillette and even AT&T who were actually charged in the 80s. There are plenty of examples. Netflix not only destroyed the video rental market, especially when expanding to include Gamefly, which Netflix is now part of Google (now corporately called Alphabet). Bayer medical has been one in the past. Smith & Wesson is one. A monopoly doesn’t mean owns the entire market, just merely controls the nuances of the market; such as pricing, materials control, number of jobs, pay scale, supply, demand and distribution. Time Warner was one as evident in the comic book market’s history. There are easily over a hundred monopolies in the U.S. alone. Wal-Mart is one of the largest as is Macy’s. Customers voluntarily choose to support these companies. This is the complete opposite of fascism. Companies are only as powerful as their consumers make them. You Missed – Volkswagen !! Definition of Monopoly – an organization or group that has complete control of something. By this definition the government is the only monopoly. By this a mean there is only one government in a country, try setting up a second government! No company can have complete control in a free market as competitors can enter the market at anytime (hence free). The government can regulate to make it harder for new companies to enter a market. Hence markets are not only partly free. does australia post count as a monopoly? huh? whats “this gave me a big oomf” what does that suppose to mean? Is there any possibility of merger of google and facebook ? Or google and amazon ?